From a D-value 5.3 KN / material quality ST 52-3 / nose weight 50 kg. Also suitable for tow bars with integrated electrical socket. The X-series and P-series can, even loaded with up to 3 bikes, be tilted away simply by pressing the foot pedal. When tilted back up again the rack locks in automatically. The rack is delivered completely pre-assembled. No tools are needed for mounting. Slide on, close lever, finished. No further settings necessary. Optimum fastening with maximum safety. On all Uebler bike racks the ratchet strap systems ensure reliable tensioning force and sturdy security for the bikes. Simple & intuitive to use, whether it’s mounting the rack on the towbar or fastening the bikes. All Uebler bike racks are extensively tested for stability and safety checks as well as anti-corrosion test on modern testing equipment. Sturdy yet still lightweight Thanks to optimised lightweight construction Uebler bike racks belong to the lightest systems in their rack class. Thanks to our own high demands on material and manufacturing quality we offer an extended 3 year warranty on all our products. Foldable 3 times: all models from the X-series and F-series can be folded down / into an extremely compact size. Uebler products have been developed and manufactured in Germany all along. All products have a European Type Approval. Secure is secure: the rack itself and the frame holders for all bikes can be locked separately and are insured against robbery & theft. As ISO 9001:2008 certified company Uebler manufactures with quality assured processes and in a sustainable manner at their site in Forchheim, Bavaria. All Uebler bike racks are perfectly suited for e-bikes and also heavy bikes. Up to 30 kg per bike rail, optimised rack width and a big gap between the bikes characterise all Uebler bike racks. 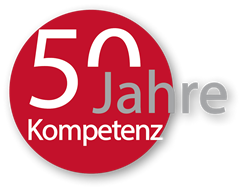 Competence for more than 50 year: Uebler is development and trading partner for BMW, Kia, Mercedes, Mitsubishi, Opel, Seat, Skoda, Toyota and Volkswagen.